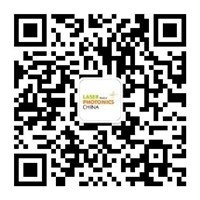 ● The current development situation of fiber lasers. ● The technical bottlenecks in the development of fiber lasers. ● The future development trend of fiber lasers. Fiber laser tool set SFTool and fiber laser simulation software SeeFiberLaser features, function introduction, operation and case demonstration; instruction of functional comparision between SeeFiberLaser professional version and free version; etc..
9. Calculate data storage and simulation result storage. Note: Free training, pre-registration required. Admission by business card only (First 80).